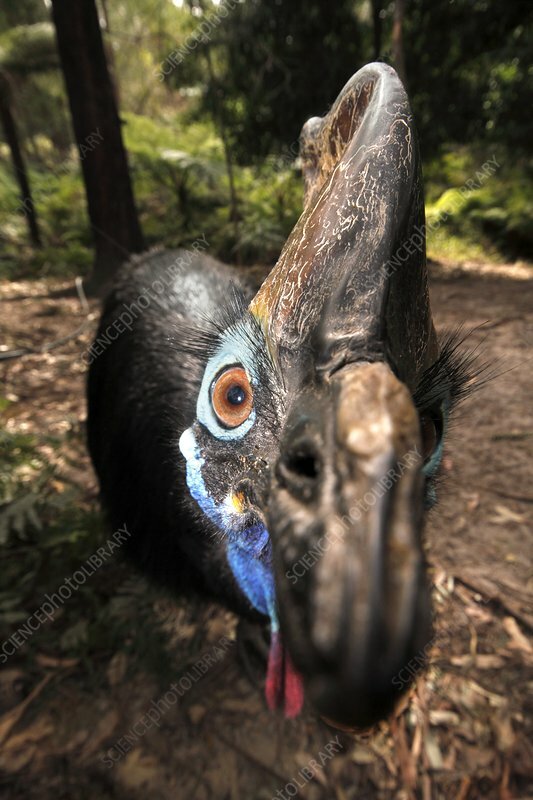 Southern cassowary, (Casuarius casuarius). This is a large, flightless bird that is related to the ostrich and emu. It lives in tropical rainforests of Indonesia, New Guinea and northeastern Australia, and forages the forest floor for fallen fruit. It is the second heaviest bird on Earth, weighing an average of 85 kilograms.